YouTube is experiencing a boom period right now, with some channels earning millions of subscribers and billions of views. This makes it the perfect platform for fantasy sports channels to offer content to fantasy sports players. Here’s a look at the top 5 fantasy sports channels you can subscribe to on YouTube. Fantasy Footballers is a YouTube channel hosted by the trio of Andy Holloway, Jason Moore, and Mike “The Fantasy Hitman” Wright. It focuses its attention on fantasy football. The combination of analysis, vocal opinions, and superb advice has made it a huge hit with fantasy football players. The channel uploads new videos on a daily basis to its audience of 58,332 subscribers, with the total view count currently at 6.2 million and increasing by the day. Their most viewed videos cover topics including as 10 Tips and Tricks To Win Your League, 15 Fantasy Football Gems, and Top 10 Running Backs. If you play fantasy football then you will want check these guys out. Their channel might only be two years old but it has already earned a loyal following and for good reason. Fantasy sports are a big deal and luckily Fantasy Smack Talk treat every fantasy sports equally. The FST team cover fantasy games from football, baseball, and basketball. Their videos have attracted over 3.4 million views since the channel was established back in December 2008. It is also one of the first YouTube channels to build its content around fantasy sports. Presenting duo Dustin Barkley and Brent Namejko front the majority of videos these days. The content delivers a mix of in-depth analysis, comedy, and tips. 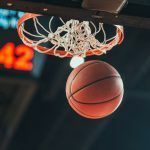 The channel might have slightly less subscribers than other fantasy sports channels (16,817 subscribers) but it is certainly quality not quantity. The Fantasy Smack Talk basketball trick shot video went viral and has earned 185,000 views on its own. 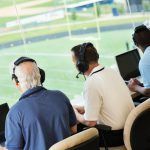 Other highly-rated videos on their channel include Fantasy Football University Commercial, Baseball Line Drive to the Chest, and Fantasy Football Early Round Draft Strategy. It’s easy to see that the comedic approach is certainly favoured here. FNTSY Sports Network is one of the big guns on the social media scene. The channel has built an audience of 47,348 subscribers since it was first created in January 2014. During that time, the channel has earned almost 16 million views from all its uploaded videos. The main focus of the content is fantasy football, with DraftKings and FanDuel both identified for in-depth coverage. The rate at which this channel uploads videos is insane. Subscribers can expect to see 3-4 videos per day added. Whether it’s weekly videos covering fantasy football busts, fantasy football sleepers, fantasy football rookie profiles, or fantasy football previews – the content comes thick and fast. Daily fantasy sports debates, analysis, and tips are all on offer too. Their most popular videos have attracted in excess of 200,000 views alone. Impressive. Kev’s Picks sounds very informal for a YouTube channel. You can picture it now. Your best bud, sitting on his couch in his underpants, giving you his thoughts on fantasy sports. That concept could not be further from the truth with this channel. Kevin McClelland delivers some top tips, analysis, and coverage of fantasy sports on this hit channel with 28,820 subscribers and total views exceeding 2.5 million. The Kev’s Picks channel was first established back in 2011. Kevin describes himself as a sports bettor, DFS player, and Fantasy Labs Pro Team member. The most popular video on the channel is a video where Kevin boasts about winning $100,000 when playing DraftKings. He also covers some topics that fantasy sports players are yearning to learn more about, for example Can I Make A Living Betting Sports? RotoGrinders has been on the fantasy sports scene for a while and its YouTube channel has developed a committed following of 23,181 subscribers since it started back in March 2014. Its videos revolve around how to build line-ups for a range of fantasy sports across NFL, MLB, NHL, NBA, and PGA. It covers fantasy sports games including DraftKings, FanDuel, FantasyDraft, and many more. The most viewed videos on the channel cover topics like RotoGrinders Lineup Builder Walkthrough, LineupBuilder Tutorial, and FanDuel and DraftKings NBA Strategy. This is very much an educational channel for those playing fantasy sports that are looking for a bit of assistance and direction. 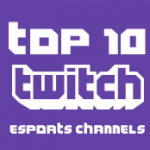 The expert picks videos are one of the biggest draws for the channel. Bradford’s Road to Wembley: How Much Have the Bantams Made You?